It contains 60 gelatin capsules containing 500 mg or 1000 mg of Fish Oil. The extraction process of Fish Oil involves the application of steam over fish bodies from marine origin, cold and deep water. Fish species employed include sardine (Sardina pilchardus), herring (Clupea harengus), mackerel (Scomber japonicus) and salmon (Salmo salar). The gelatin used in the manufacture of soft capsules is free from Bovine Spongiform Encephalopathy (BSE). Prevention of cardiovascular diseases and lowering cholesterol. It contains 60 gelatin capsules containing 500 mg of shark cartilage. Shark Cartilage is obtained from shark spine milky white color with beige lines, blackheads, its diameter ranges from 1.0 to 2.5 cm and has accentuated marine fragrance. During preparation, it is crystalline water-brushed without boiling for subsequent spray drying. Joint diseases such as arthritis and rheumatism. It is a product made from animal tissues rich in collagen. Collagen is the most abundant protein in the animal kingdom and corresponds to 30% of the proteins present in the human organism. There are at least 16 types of collagen, being the types I, II and III the most common in the composition of tissues and organs of the human body. Different fibers of collagen are used for the sole purpose of providing lift to different body tissues, especially the conjunctive tissue, skin, bones and cartilage. 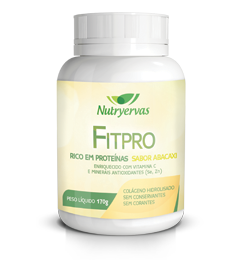 Nutryervas FITPRO Pineapple is prepared with Hydrolyzed Collagen from collagen fibers Type I, in a easy way of digestion and assimilation by the body. Keeping skin healthy, more hydration, elasticity and firmness, and also, preventing the signs of cell aging. 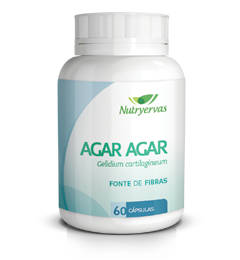 Helping in the treatment of bone and joint diseases, such as osteoporosis, arthritis, joint pain and degeneration. Reducing the number of individuals´ fractures who suffer osteoporosis. It contains 60 tablets containing 500 mg of chitosan and 15 mg vitamin C.
Chitosan is a biopolymer obtained from the exoskeleton of crustaceans, which occurs as a natural polysaccharide formed for glucosamine residues. The association with vitamin C increases the ability of chitosan to capture the fat of diet. Reduction in fat absorption and cholesterol. It contains 60 gelatin capsules containing 535 mg of FITPRO. FITPRO capsules is a nutricosmetic prepared from a complex mixture from cocoa oxidizing agents, vitamins and minerals. Keeping skin healthy, more hydration, elasticity and firmness, and also, preventing the signs of cell aging. Antioxidant, vitamin and mineral repository and rejuvenation. It contains 60 gelatin capsules containing 500 mg or 1000 mg of Linseed Oil. Linseed oil is obtained from the extraction of seeds of usitatisimun Linum L. species. Vial with 170 grams of Hydrolyzed Collagen, natural flavor. It is a product made from animal tissues rich in collagen. Collagen is the most abundant protein in the animal kingdom and corresponds to 30% of the proteins present in the human organism. There are at least 16 types of collagen, being the types I, II and III the most common in the composition of tissues and organs of the human body. The different collagen fibers used for the sole purpose of providing lift to different body tissues, especially the conjunctive tissue, skin, bones and cartilage. Nutryervas collagen is prepared with hydrolyzed collagen from collagen fibers Type I, in a easy way of digestion and assimilation by the body. Gelatinous capsules containing 60 units with 250 mg of Guaraná + 250 mg of açaí. Paullinia cupana, a plant popularly known as Guaraná is a plant family Sapindaceae predominant in Amazon. Its fruit has lots of caffeine and due to its stimulant properties is widely used. The açaí tree (Euterpe oleracea Mart.) is a tropical palm tree, round fruit measuring 1.0 to 1.5 cm in diameter, mesocarp about 1mm thick, afro violet color when mature. The gelatin used in the manufacture of capsules is free from Bovine Spongiform Encephalopathy (BSE), no preservatives and no coloring. Stimulating, energetic. Energetic compound to reduce physical and mental fatigue, improving concentration and disposal. It contains 60 gelatin capsules containing 410 mg. Gelidium cartilagineum – Agar-Agar. Agar-Agar is a hydrophilic colloid (hydrocolloid) extracted from seaweeds of the class Rhodophyceae such as Gelidium cartilagineum L.(Gaillon)-Gelidiaceae ¸ Gracilaria confervoides L.(Greville) – Sphaerococcaceae and related red algae(Class Rhodophyceae).These types of algae are abundant in oceans, along the coast and found in various regions of the world, especially in the European, Asian and American. Intestinal regulator, mild laxative, belly prison, constipation, moderator of appetite, nutrient and mineral replenishment. It contains 60 gelatin capsules containing the equivalent of 7 mg of Zinc (100% RDI). DESCRIPTION Since the recommended daily intake is observed, it can be used indefinitely. Chelated mineral is all mineral ion connected to an amino acid that in most cases is glycine, arginine or lysine. The mineral in the chelated form has better absorption, they are absorbed without ionization in the digestive process, being well tolerated by the body (not generating side effects). 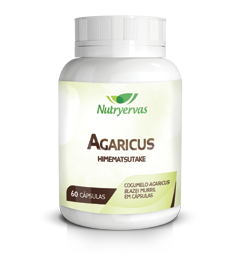 TRADITIONAL USE Mineral supplement, antioxidant, increased immunity. It contains 60 gelatin capsules containing the equivalent of 34 mg of Selenium (100% RDI). DESCRIPTION Chelated mineral is all mineral ion connected to an amino acid that in most cases is glycine, arginine or lysine. 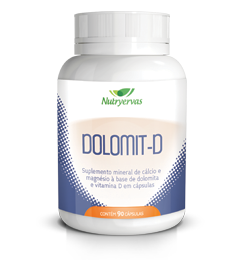 The mineral in the chelated form has better absorption, they are absorbed without ionization in the digestive process and it is very well tolerated by the body (not generating side effects). 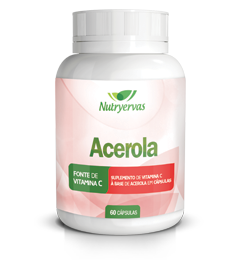 TRADITIONAL USE Mineral supplement, antioxidant, stimulating the immune system defense. It contains 60 gelatin capsules containing 320 mg of Spirulina. Spirulina is a cyanobacteria, blue-green, well known and widely used. It has been employed primarily as a source of nutrients for containing various beneficial substances to humans. Alimentary supplement, protein source, source of B-complex vitamins. It contains 60 gelatin capsules containing 300 mg. Agaricus blazei. The Agaricus blazei is an edible mushroom native to Brazil, which has been widely consumed in different parts of the world due to its nutritional properties. The A. blazei has a semi-globular pileus when mature (open) light brown coloration and presenting small white flakes on top. Strengthening the immune system, physical and mental stress, reducing levels of cholesterol and blood glucose. TRADITIONAL USE Osteoporosis, stunting, osteomalacia and other osteoarticular diseases and hyperacidity of the stomach. It contains 60 gelatin capsules containing 300 mg. Eggplant (Solanum melongena L.). purple glitter, crowned by the persistent calyx and almost always spinescent. It contains 60 gelatin capsules containing 14 mg of iron (100% RDI) and 45 mg of vitamin C (100% RDI). DESCRIPTION Chelated mineral is all ion connected to an amino acid that in most cases is glycine, arginine or lysine. The mineral in the chelated form has better absorption, they are absorbed without ionization in the digestive process and it is very well tolerated by the body (not generating side effects). Nutryervas Cod Liver Oil is a supplement rich in vitamins A and D and fatty acids omega 3. 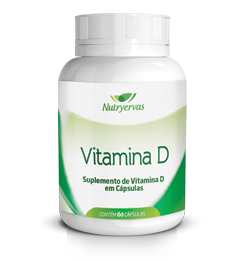 TRADITIONAL USE Replacement of vitamins A and D, development of the organism and appetite stimulation. It contains 60 gelatin capsules containing 500 mg of chitosan and 100 mg of Psyllium (Plantago ovata Forsk). reason, Nutryervas with the intention to supplement the fibers ingestion, essential to the human diet to maintain the normal composition of body launched Kitosan Plus to take the physiological properties advantages of the fibers allied to the function to help in lowering fat absorption. Lowering absorption of fat and cholesterol. It contains 90 gelatin capsules containing 1000 mg of Safflower oil. 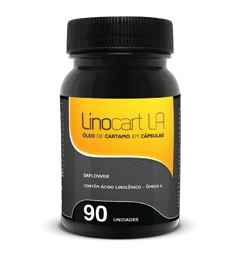 Linocart LA is prepared from the safflower plant, where seeds are obtained for the preparation of Safflower oil. The oil has been produced and used by the food industry for over 50 years. Currently, the investigation researches on the benefits of health diet made the search and safflower oil consumption increase significantly. Functional actions of safflower oil are primarily due to its high content of fatty polyunsaturated acids (fat), especially Linoleic Acid (Omega 6). The potential use of safflower oil to control body composition has been a growing objective of scientific and popular interest. - Definition of lean body mass (muscle tissue). It contains 60 gelatin capsules containing 100% RDI of 3vitamins (Vitamin A, Vitamin C, Vitamin E,) and 2 minerals(Selenium, Zinc). 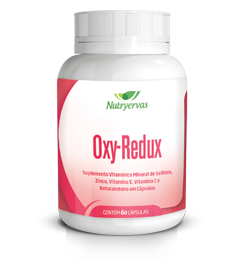 Oxy-Redux is a vitamin mineral supplement that provides essential nutrients to combat free radicals. Oxy-Redux still provides the ideal amount of micronutrients for the maintenance of physiological activities. Excellent source of ascorbic acid (vitamin C). from the region of the Antilles, northern South America, Central America and widely cultivated in Brazil. To strengthen the immune system, replenishing nutrients and reducing weakness, irritability, fatigue and loss of appetite.It is also involved in the elimination of free radicals (oxidative agents causing injury and cellular aging) and healing process. Vial with 170 grams of Hydrolyzed Collagen enriched with vitamin C and antioxidant minerals (selenium and zinc) lemon flavor. prepared with hydrolyzed collagen from collagen fibers Type I, in a easy way of digestion and assimilation by the body. Keeping skin healthy, more hydration, elasticity and firmness, and also, preventing the signs of cell aging. 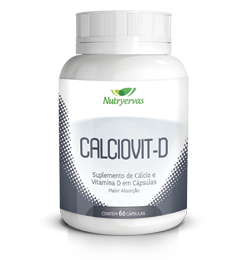 Helping in the treatment of bone and joint diseases, such as osteoporosis, arthritis, joint pain and degeneration. Reducing the number of individuals´ fractures who suffer osteoporosis. It contains 60 gelatin capsules containing 300 mg of Chlorella Pyrenoidosa. Due to its rich composition, Chlorella can be used as a nutritional supplement, in convalescence from various diseases, or substituting common dietary sources. It consists of approximately 60% protein (higher than beef, fish and soy), and it contains all the essential amino acids. It presents high concentrations of vitamins, dietary fibers, minerals, amino acids and enzymes. It is also possible to find about 20% carbohydrate and 11% of unsaturated fats. Due to its composition is rich in vitamins, Chlorella spp importance may occur in the prophylaxis and treatment of vitamin deficiencies. They can also act as a stimulant of the immune system, promoting protection against infection, repair and tissue healing as well as present anticancer activity. most cell. It is a fine powder with a hygroscopic dark green color, characteristic taste and odor. 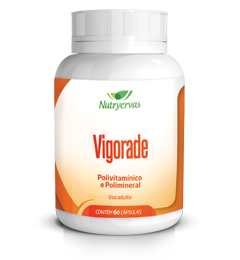 Strengthening the immune system, replenishing nutrients, vitamins and minerals, and antiviral. It contains 60 gelatin capsules containing 500 mg of Chollestive. It contains 60 gelatin capsules containing 100% RDA of B-complex vitamins. 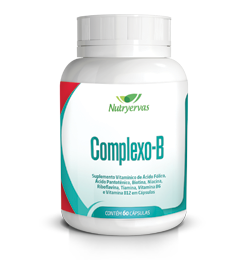 The B complex is a supplement that provides 100% RDI of vitamins B1, B2, B6, B12, niacin, pantothenic acid, biotin and folic acid with important action in cell metabolism. Nutritional supplement. Supplement for Athletes. It contains 60 gelatin capsules containing 500 mg of Evening Primrose Oil. Evening primrose oil is obtained from the extraction of seeds of Oenothera biennis species. Premenstrual tension, menopausal symptoms and skin disorders. Gelatinous capsules: 60 units containing 420 mg of Brewer´s Yeast. Tablets: 400 units containing 500 mg of Brewer´s Yeast. Brewer’s yeast is recognized worldwide as excellent source of protein, B-complex vitamins, minerals and dietetic fibers. It is an inactive yeast obtained during the production of beer, when dried, it shows as a squamous masses, granules or powder of yellowish white to yellowish orange color. The gelatin used in the manufacture of capsules is free Bovine Spongiform Encephalopathy (BSE), no preservatives and no coloring. Alimentary supplement, protein source, supplement for athletes, source of B-complex vitamins. It contains 60 tablets containing 500 mg of Chlorella pyrenoidosa. Planktonic algae, microscopic size of a chlorophyll cell (green), usually spherical or elliptical, containing a single elongated chloroplast that fills most cell. Fine powder, hygroscopic dark green color, characteristic flavor and odor. It contains 60 gelatin capsules containing the equivalent of 2.3 mg of Manganese (100% RDI). Chelated mineral is all mineral ion connected to an amino acid that in most cases is glycine, arginine or lysine. 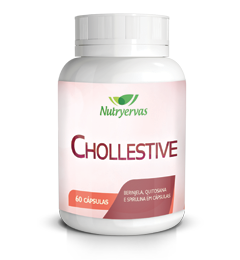 The mineral in the chelated form has better absorption, they are absorbed without ionization in the digestive process and it is very well tolerated by the body (not generating side effects). It contains 60 gelatin capsules containing 500 mg of Chitosan. Chitosan is a biopolymer derived from the exoskeleton of crustaceans, which occurs as a natural polysaccharide formed for glucosamine residues. Reduction of fat absorption and cholesterol. It contains 60 gelatin capsules containing the equivalent of 87 mg of magnesium (33.5% RDI). TRADITIONAL USE Mineral supplement, mineralization of bones and teeth. It contains 60 gelatin capsules containing100% RDI of 7 vitamins (Folic Acid, Vitamin A, Vitamin B6, Vitamin B12, Vitamin C, Vitamin D, Vitamin E,) and 3 minerals (Iron, Selenium, Zinc). Vitiforce is a Polyvitaminic and Polymineral complex that provides essential nutrients for proper functioning of the immune system. Vitiforce still provides the ideal amount of micronutrients for the maintenance of other physiological activities. It contains 60 gelatin capsules containing 680 mg of oyster calcium. Oyster Calcium is constituted by the intermediary part of the oyster shell (Ostra edulis L.), which is obtained after removal of adhesions to the shell that are dried until the constant weight and converted into powder. The powder is constituted by close 85% calcium carbonate. Osteoporosis, stunting, osteomalacia and other osteoarticular diseases. It contains 75 gelatin capsules containing 500 mg.
Nutry Redux is a combination of soluble and insoluble fibers derived from apple, chitosan and Psyllium fibers. The apple fiber is obtained from apples Gala variety submitted to dehydration and subsequent spraying. Psyllium consists in the combination of highly substituted arabinoxylan polysaccharide. These polysaccharide are formed by linear chains of xylose units which are connected to arabinose or xylose monomeric units. Psyllium contains as least 75% of soluble dietary fiber. Chitosan is a biopolymer obtained from crustacean chitin deacetylation, composed of glucosamine units, it is insoluble in water, although not derived from plants, chitosan is similar to dietary fiber because it is an indigestible polysaccharide by digestive enzymes. Source of fibers, intestinal regulator, it reduces the absorption of fat and glucose, normalization of intestinal flora, preventing cardiovascular diseases, it is an auxiliary on weight loss diets, antioxidant. It contains 60 gelatin capsules containing 470 mg. 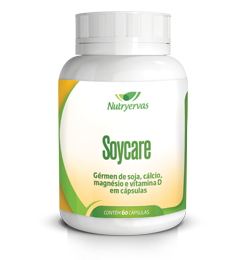 DESCRIPTION Soycare is used to supplement the daily calcium, magnesium and vitamin D needs of the body and situations where there is an increased demand for calcium, magnesium and vitamin D. Assisting in the action of these nutrients, Soycare includes in its composition Soybean Germ, which provides isoflavones. TRADITIONAL USE Osteoporosis, stunting, osteomalacia and other osteoarticular Diseases, menopause. 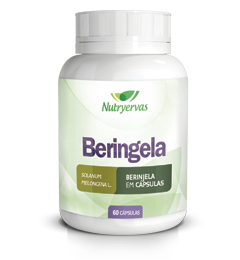 It contains 60 gelatin capsules containing 500 mg of Borage oil. Borage oil is a vegetable oil produced from the extracting seeds of the genus Borago officinalis. IT contains 60 gelatin capsules containing 500 mg of Psyllium (Plantago ovata Forsk). Psyllium is a combination of highly substituted arabinoxylan polysaccharides. These polysaccharides are formed by linear chains of xylose units to which are connected monomeric units of arabinose or xylose. It contains 60 gelatin capsules containing the equivalent of 900 mg copper (100% RDI). DESCRIPTION Chelated mineral is all ion connected to an amino acid that in most cases is glycine, arginine or lysine. The mineral in the chelated form has better absorption, they are absorbed without ionization in the digestive process and being very well tolerated (no generating side effects). TRADITIONAL USE Mineral supplement, antioxidant. It contains 60 gelatin capsules containing the equivalent of 35 mg of Chromium (100% RDI). Chromium Picolinate is a stable complex of Chromium trivalent (III). The trivalent chromium ion is a tolerance factor to glucose that participates in the glucose-mediated insulin reactions (cofactor of insulin). It helps to maintain normal glucose metabolism and peripheral nerve function. Mineral supplement, assisting in controlling glucose levels in diabetic individuals. Supplement for athletes. Assistant in diets to improve body composition by promoting muscle mass increase and body fat reduction. • Gelatinous capsules: 60 units containing 510 mg of Guaraná. family Sapindaceae predominant in Amazon. Its fruit has lots of caffeine and due to its stimulant properties is widely used. It contains 60 gelatin capsules containing the equivalent of 10 mg of Vitamin E (100% RDI). 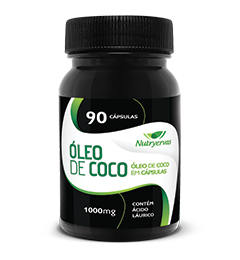 DescriçãoO Óleo de Coco extra virgem 90 cápsulas/1000mg é um produto natural, e é indicado para diminuir o mau colesterol (LDL) e aumentar o bom colesterol (HDL). A gordura de coco é capaz de gerar calor e queimar calorias, favorecendo a perda de peso. It contains 60 gelatin capsules containing 500 mg or 1000 mg of Soybean Lecithin. DESCRIPTION Lecithin is obtained from soybean and it is composed of a Phospholipid complex blend, consisting mainly of phosphatidylcholine, phosphatidylethanolamine, phosphatidylinositol and phosphatidic acid combined with varying amounts of other substances, such as triglycerides (TG), fatty acids (FA) and carbohydrates. The gelatin used in the manufacture of soft capsules is free from Bovine Spongiform Encephalopathy (BSE). TRADITIONAL USE Cholesterol reduction, memory. DESCRIPTION Polivitamínico e polimineral complexo, fornece nutrientes essenciais. Vigorade é capaz de oferecer a quantidade ideal dos micronutrientes para a manutenção das atividades fisiológicas. It contains 60 gelatin capsules containing 250 mg of Wheat Germ Oil. Antioxidant, cellular anti-aging and vitamin E replacement. The wheat grain is divided into shell, endosperm and germ, being germ the portion with more vitamin E.
It contains 60 gelatin capsules containing the equivalent of 5 mg / 200 IU of Vitamin D (100% RDI). Disturbances in the formation of bone development. Planktonic algae, microscopic size of a chlorophyll cell (green), usually spherical or elliptical,containing a single elongated chloroplast that fills most cell. Fine powder, hygroscopic dark green color, characteristic flavor and odor. It contains 60 gelatin capsules containing 1.3 mg of Vitamin B6 (100% RDI). Vitamin supplement, altered amino acids and Carbohydrates metabolism. It contains 60 gelatin capsules containing the equivalent of 50% of the Recommended Daily Intake (RDI) of beta-carotene. 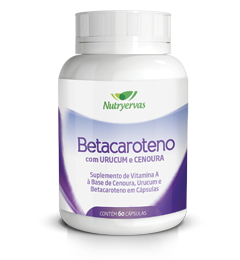 Nutryervas Beta-Carotene is an association of natural sources, beta-carotene and other carotenoids based from carrot and achiote. It is a purified form of beta carotene that fulfils your daily need. Nutricosmetic: protection against UV rays, prevents premature aging of the skin and promotes pigmentation skin. It contains 60 gelatin capsules containing 45 mg of ascorbic acid / vitamin C (100% RDI) and the equivalent to 1 mg of Vitamin E (10% RDI). Resisvit-C is a product made from ascorbic acid being used in some situations to supplement Vitamin C ingestion. Vitamin C is quickly absorbed in the gastrointestinal tract (jejunum). In the body is distributed in the plasma and cells and the higher concentrations are found in the glandular tissue. It is metabolized in the liver and excreted by the kidney. The association with Vitamin E is important to avoid spontaneous oxidation of vitamin C, and thus preserve its properties. Strengthening the immune system, replenishing nutrients, it is also involved in the elimination of free radicals (oxidative agents causing injury and cellular aging) and healing process). It contains 60 or 120 gelatin capsules containing 600 mg or vial containing 200 g or 680 g of dolomite. Dolomite is a mineral extracted from limestone type rock, rich in calcium and magnesium. It contains a proportion of calcium and 2:1 magnesium, ideal for absorption and action in the body. Osteoporosis, stunting, osteomalacia, other osteoarticular diseases and hyperacidity of the stomach. It contains 60 gelatin capsules containing 5 mg. Pantothenic acid (100% RDI). Metabolism of carbohydrates, lipids and proteins alterations. It contains 60 gelatin capsules containing 300 mg of Hydrolyzed Collagen. It is a product made from animal tissues rich in collagen. Collagen is the most abundant protein in animal kingdom and corresponds to 30% of the proteins present in the human organism. There are at least 16 types of collagen, being the types I, II and III the most common in the composition of tissues and organs of the human body. The different fibers of collagen are used for the sole purpose of providing lift to the different body tissues, especially the conjunctive tissue, skin, bones and cartilage. Nutryervs Collagen is prepared with hydrolyzed collagen from fibers of Type I collagen, in a easy way to digest and assimile by the body. Keeping skin healthy, more hydration, elasticity and firmness, and also preventing the signs of aging cell. Helping in the treatment of bone and joint diseases, such as osteoporosis, arthritis, joint pain and degeneration. Assisting in weight loss diets. Post-training / exercises recovery. It contains 60 gelatin capsules containing 250 mg or 500 mg.
Garlic oil is obtained from the bulb or mature and dried bulbs, devoid of roots, stem, normal leaves, scaly protective leaves and scarious prophylls. It contains gelatin capsules containing the equivalent to 60 to 117 mg of Phosphorus (17% RDI). Chelated mineral is all ion connected to an amino acid that in most cases is glycine, arginine or lysine. The mineral in the chelated form has better absorption, they are absorbed without ionization in the digestive process, being very well tolerated by the body (not generating side effects). 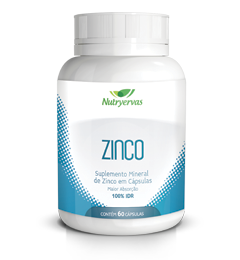 Mineral supplement, mineralization of bones and teeth. It contains 60 gelatin capsules containing 91 mg of calcium (9% RDI) and 1.67 μg/67 IU of vitamin D (33% RDI). Chelated mineral is all mineral ion connected to an amino acid that in most cases is glycine, arginine or lysine. The mineral in the chelated form has better absorption, it is absorbed without ionization in the digestive process, and they are very well tolerated (no generating side effects). The health information contained on this site are for educational purposes only. All decisions regarding patient care must be made by doctors or health professionals, who will take into consideration the unique characteristics of each patient.